Today marks exactly one month of my love affair with the NutriBullet. I’ve juiced up a storm with fresh vegetables and fruit every morning and couldn’t be happier with this healthy new addition to my life. Gorgeous fruit and veg ready for the NutriBullet! I have had my share of bad luck with juicers in the past. They have been too bulky, tough to store and a pain to clean making it really difficult to form and sustain a healthy habit. The NutriBullet is not a juicer. It is also not a blender or food processor. The powerful and super-fast motor ‘extracts’ and retains all the nutrition and goodness from fruit, vegetables, nuts and seeds. The pulp and fibre all get pulverized in your drink leaving it slightly textured and full of nutrients. 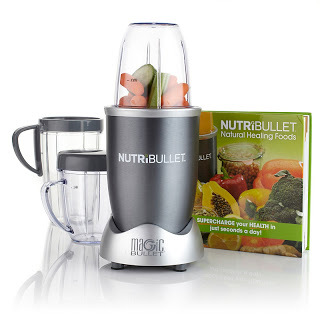 The NutriBullet is extremely compact and stands smartly on the kitchen counter without taking up much space. The size also makes it portable. It is super easy to use and takes only a few seconds to make a delicious and healthy drink. Just throw everything in, add some water and blast. I can’t tell you how ridiculously easy it is to clean the NutriBullet. A quick soap and rinse and that’s it. The best thing is knowing that I’m starting the day off right with a super dose of fruit and vegetables. What a great feeling! The only negative has been the fact that despite a powerful motor, the drink still has some texture. This was hard for me at first but I’ve solved the issue by adding extra water to my blend. I have used the 50% vegetable and 50% fruit formula to try out all sorts of combinations over the past month. This gorgeous green beauty is my absolute favourite. 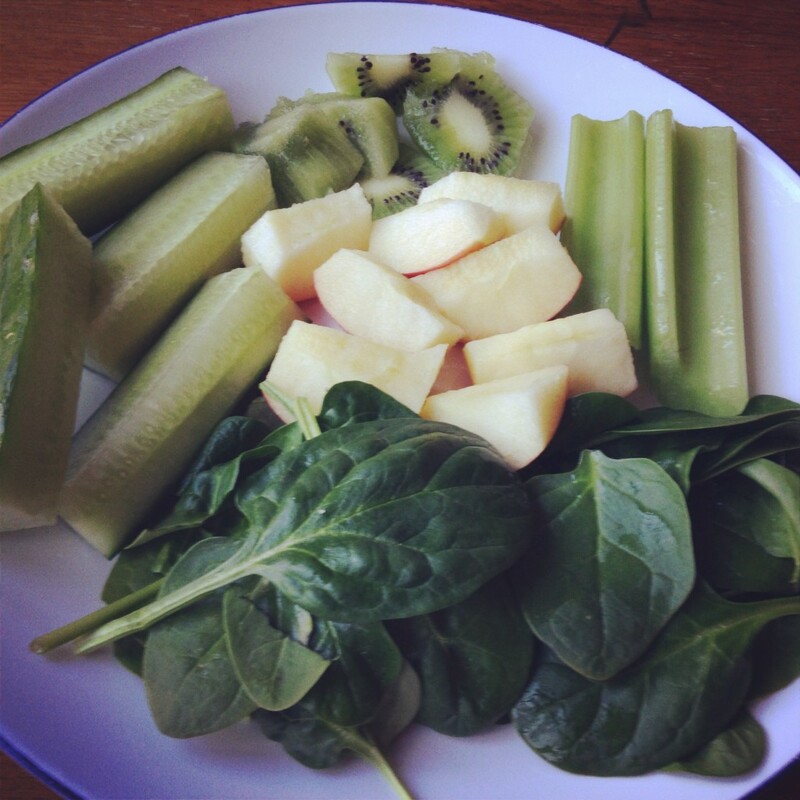 Spinach, apple, kiwi, celery, cucumber with some ginger and/or lemon. Just add water. And, BLAST!! 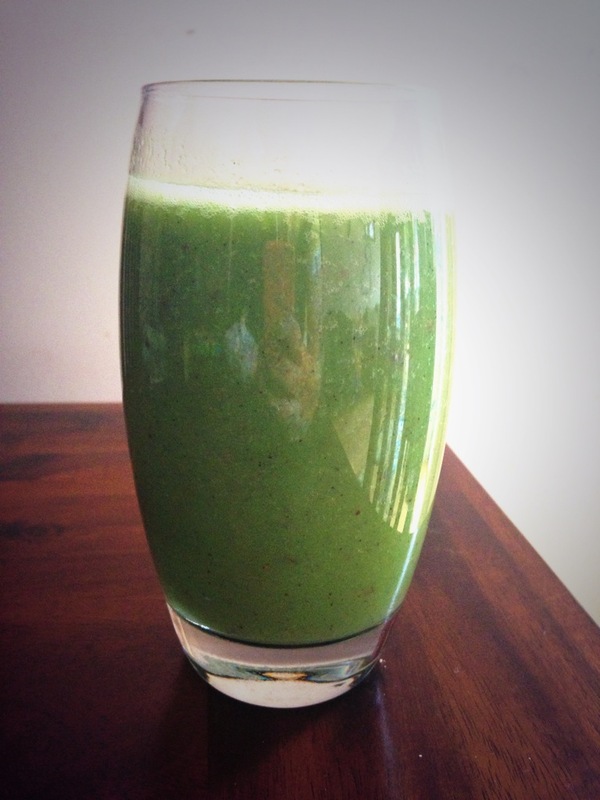 The NutriBullet costs £99 and I can’t recommend it highly enough. A reasonably priced investment towards a healthy lifestyle. Visit www.nutribulletuk.com for more info! Want to buy it but not sure if it is available in India.